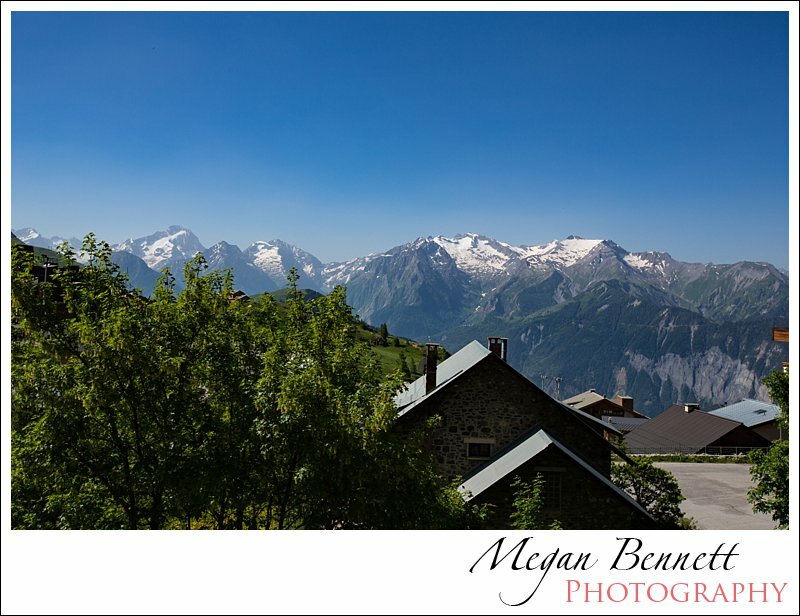 After a short but sleepless overnight flight from Iceland and several hours on multiple trains, including 2 extra hours thanks to catching the wrong train (oops), we made it to the French Alps and specifically Alpe d’Huez. 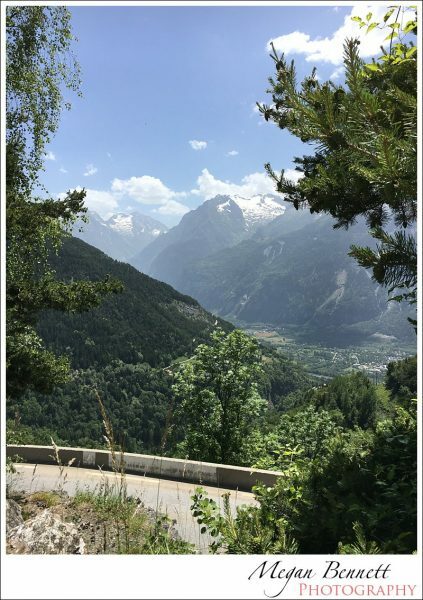 For those who missed my initial trip blog post (click here), one of the things I was most looking forward to about this trip was having the opportunity to ride Alpe d’Huez. Alpe d’Huez has featured in many a Tour de France and is one of the most iconic climbs in the sport of cycling. Despite having only cycled for 8 months, I was up for the challenge, along with Ian and Dad (who has been cycling for a lot longer but not as much recently). We spent our first night staying in Alpe d’Huez itself and the view of the surrounding Alps was pretty spectacular. Having had very little sleep the previous night due to travelling, I awoke on the day of our epic climb feeling rather tired and somewhat apprehensive about what was to come. Thankfully the weather was perfect, if not a tad warm, and we set off down the mountain to meet Mum and Dad and pick up our hire bikes. We had all agreed that we weren’t out to set some amazing time to get to the top of Alpe d’Huez – our goal was just to reach the top no matter how long it was going to take. For those who are interested, the fastest ever time up Alpe d’Huez is 37’35” set by Marco Pantani in 1997 (however there are drug suspicions surrounding Pantani so it’s possible that his rapid ascent of Alpe d’Huez was assisted). Before starting out, I was quite concerned that I wasn’t going to make it. I had driven up the mountain – I knew how hard it was going to be. With our bikes ready to go, there was no turning back. We departed just after midday and had to have the bikes back by 6:30pm (so we sort of did have a bit of a time limit). The following photos are all from my iPhone as there was no way I was lugging my DSLR up Alpe d’Huez! For those unfamiliar with the Tour de France, the red polka dot jersey I’m wearing is for the King of the Mountains classification. Fitting for our ride up Alpe d’Huez. Alpe d’Huez is composed of 21 hairpins, each of which are labelled and have the names of past and (some) recent Tour de France stage winners. 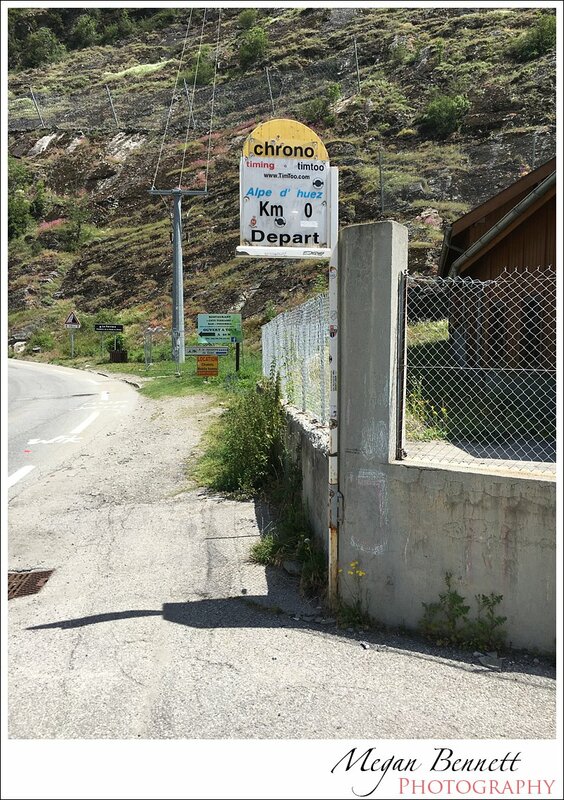 The first two hairpins (21 and 20) are by far the hardest, with a gradient of 11%. By the time we got to hairpin 20 (the second one from the bottom), I thought I had no hope of reaching the top. It was really hot and I was probably the thirstiest I’d ever been in my life. After a bit of a break in the shade, chatting with some English cyclists and taking on board some fuel and water, we set off again. Thankfully the spectacular views made up for the pain. 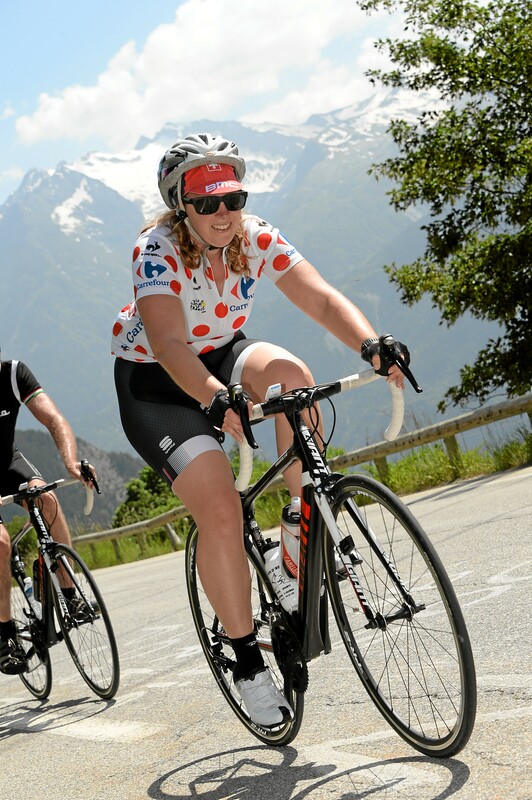 One of the many things I enjoyed about our ride up Alpe d’Huez is the camaraderie among many of the cyclists. For example, for much of our time riding up Alpe d’Huez, we were riding near the group of English cyclists I mentioned above, so we were always encouraging each other to keep going. 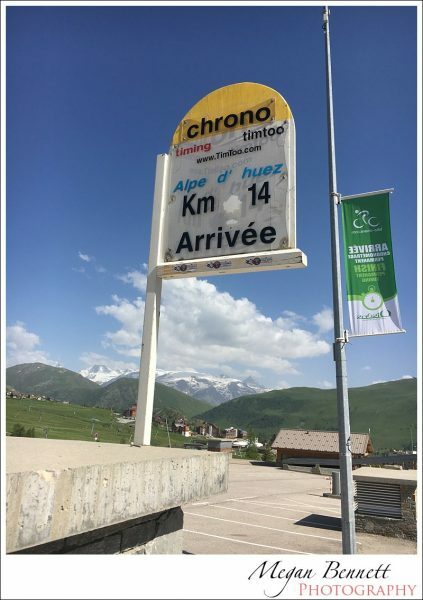 We slowly continued uphill, eventually passing the time trial (chrono) finish of Alpe d’Huez, being cheered on loudly by our English friends who had finished ahead of us and were enjoying a cold beer in a cafe. 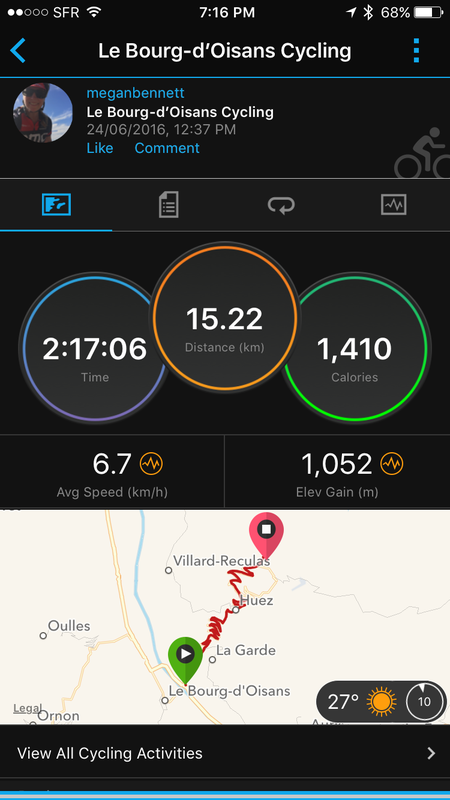 I had wanted to finish at the proper Tour de France finish which is about 1.5km further uphill from the chrono finish, so Dad and I continued on (sadly Ian couldn’t join us as we were now running out of time and he headed downhill to pick up the car to pick us up). Unfortunately the TdF finish was not all that well signposted and we actually rode too far, eventually finding it on our way back downhill (which was a pleasant way to finish). All up, it took us 2 hours and 12 minutes of riding and about that again with rest breaks. Getting to the top was the best feeling ever. I still feel stoked to have been able to achieve this. Yes, it was extremely hard and there were many times I had to tell my legs to shut up, but the views were spectacular and the closer I got to the finish the stronger I felt (it also helped that the gradients were slightly less than the start of the ride). My many months of training had paid off. It was also really special to have been able to ride Alpe d’Huez with Dad who I can blame for my love of cycling. 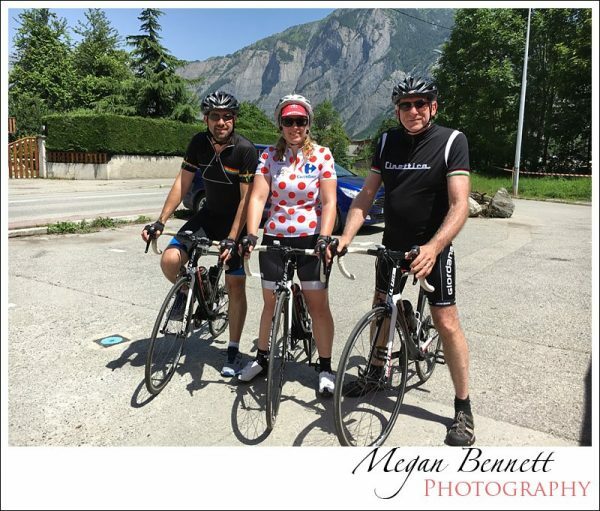 Riding Alpe d’Huez is something that he has wanted to do for a while so it was a privilege to have had the opportunity to cycle it with him. The day after our ascent was spent fairly quietly as were were all pretty exhausted from our efforts. We took a wander around Bourg d’Oisans which is the village at the base of Alpe d’Huez. 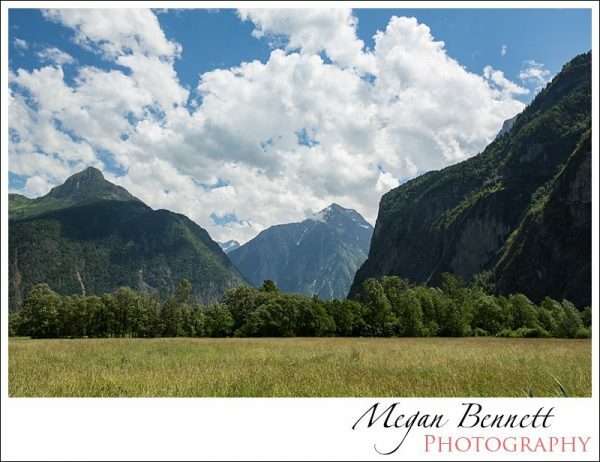 It is surrounded by the Alps and is beautiful. 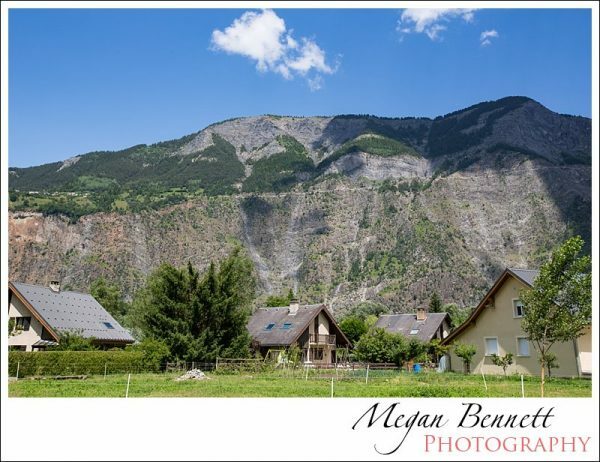 After our night in Alpe d’Huez, we spent the next two with Mum and Dad at a great B&B called Cycling Ascents (yes, a B&B targeted at cyclists) in Bourg d’Oisans. As you might imagine, there was plenty of cycling talk at the breakfast table as everyone shared where they had ridden the previous day and where they were headed that day. I loved it. 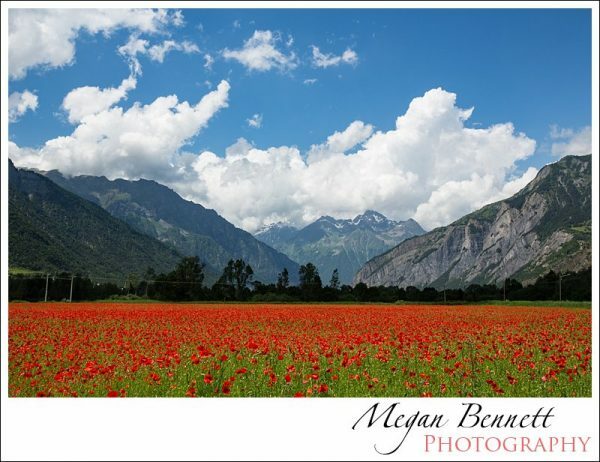 I felt a little heartbroken to leave Bourg d’Oisans. It is one of the few places I’ve visited that I think I could happily spend the rest of my life. 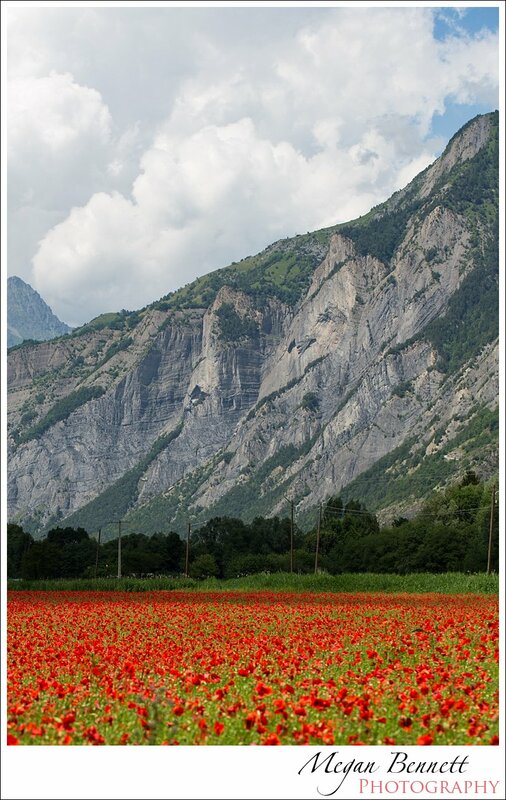 I loved the scenery and the strong cycling culture (in winter it becomes a base for skiing). I loved what I was able to achieve by cycling Alpe d’Huez but it has left me hungry for more. The area is home to several other famous climbs such as the Col du Galibier, Col du Glandon and Col de Telegraphe to name a few, so there is plenty more cycling to be done in this area. 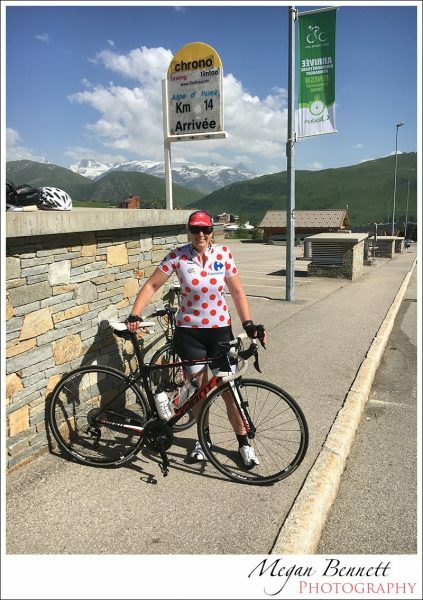 Being immersed in the cycling culture and having the opportunity to test myself physically by cycling Alpe d’Huez has left me wanting more. We’ve already talked about coming back for a longer stay to tackle some more epic ascents by bike. I’m not sure when, but I’ll definitely be back and I now have some big goals to keep training for!